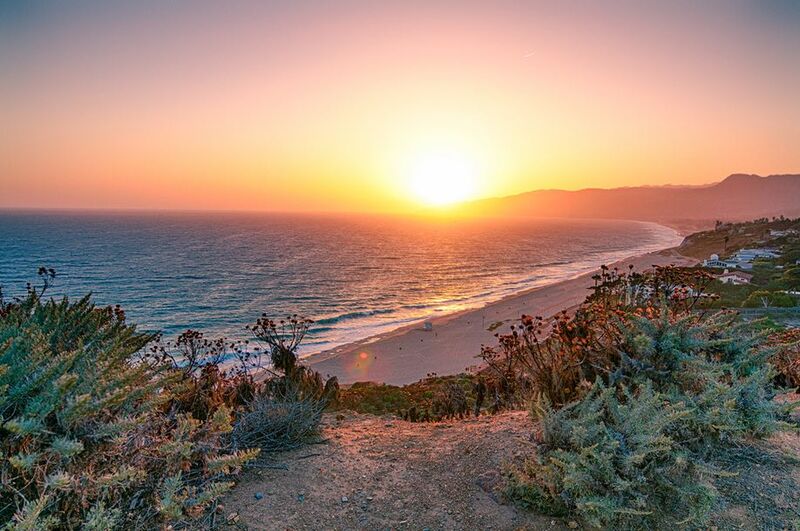 7 Telltale Signs You're Having a Pretty Good Day in L.A.
7 Telltale Signs You’re Having a Pretty Good Day in L.A. Most people living in Los Angeles have, at one time or another, experienced a magical moment where fate and luck synchronize perfectly us, and we’re able to walk away free from what could of potentially been a super annoying/disappointing situation, or perhaps more triumphantly, the stars align and we’re able to game what seems like an otherwise rigged system. While the L.A. Gods don’t often grace us with their presence, there are a couple of instances that totally rock when they do. In other words, those occassions when you know you’re having a pretty good day in L.A.
Parking… the most tired and true complaint of living in Los Angeles (well, besides traffic). 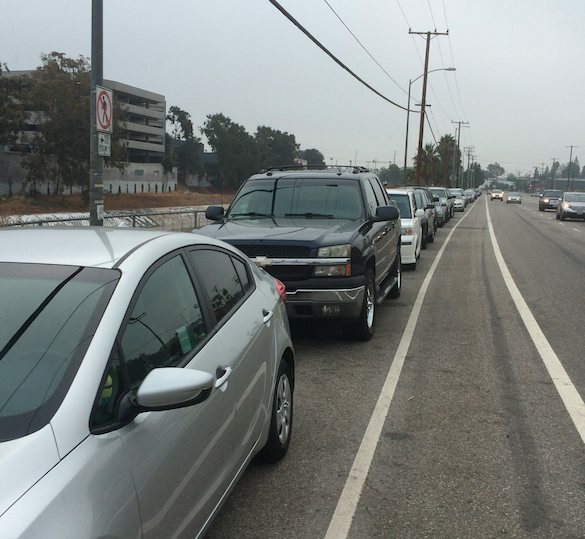 Parking is an absolute nightmare in certain areas of our fair city (we’re looking at you Koreatown, Hollywood, and Thai Town). Sure you can always settle for a garage or even get lucky with metered parking. But when the sun and the moon align and you’ve circled the same block for the tenth time there is a good chance that magical moment will happen: someone finally leaves. 2. 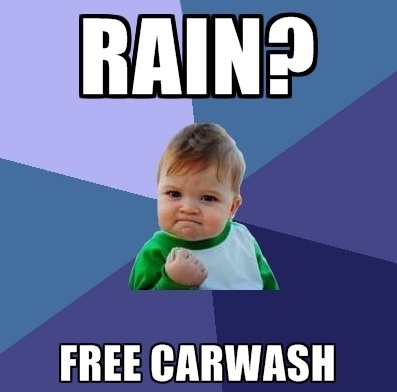 You were about to get your car washed… but then it rains! This feels like it could of been apart of Alanis Morissette’s 90’s hit “Ironic”. Washing your car in L.A. is such a hassle and there never seems to be the right time to do it. Yet, it’s usually happens that when you do make the time to go wash your car, the heavens open up and reward you with glorious rain (although it’s most likely acid rain). Even though this only happens 3-4 times a year, it’s a great way to save money/water. 3. You were actually able to reserve tickets to a free museum. I was super stoked when I heard of some of that art exhibits happening like Yayoi Kusama’s Infinity Mirrored Room or the Rain Room at LACMA (mostly for the sweet Instagram photo ops), but when I went to go reserve tickets — BOOM sold out/waitlisted. I will chalk this up to everyone else also wanting sweet Instagram photos, but luckily enough, my friend also had the same idea and managed to score some tickets. It’s always an added bonus when said museums adds additional dates and new ticketing schedules as well. On that note, remember that The Broad is Introducing a New Ticketing Schedule to Make It Easier to Reserve Tix. 4. You parked in the path of street sweeping… but didn’t get a ticket! 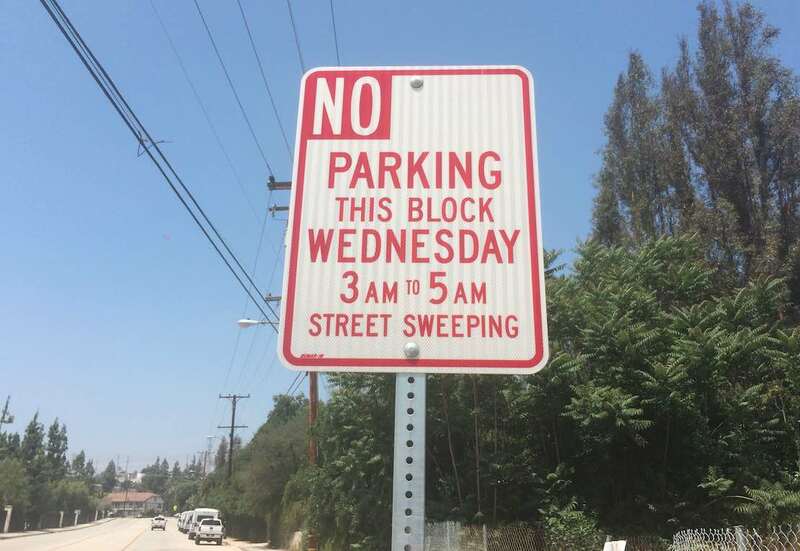 For those who live in an area where street parking is key– waking up in time to move your car before street cleaning starts is the stuff of nightmares. Even though you set seven alarms to make sure you don’t miss it, some how you always manage to get that $72 ticket. Except for that one time you hauled it to your car ten minutes past 8:00am and beat the meter police. If their response is a location within three miles of you, MARRY THEM. Just kidding, but meeting cool people that are within a reasonable driving distance from you is always a blessing, since mileage differences in L.A. are kind of like dog years (one mile away in Los Angeles is kind of like seven miles away in almost any other city). 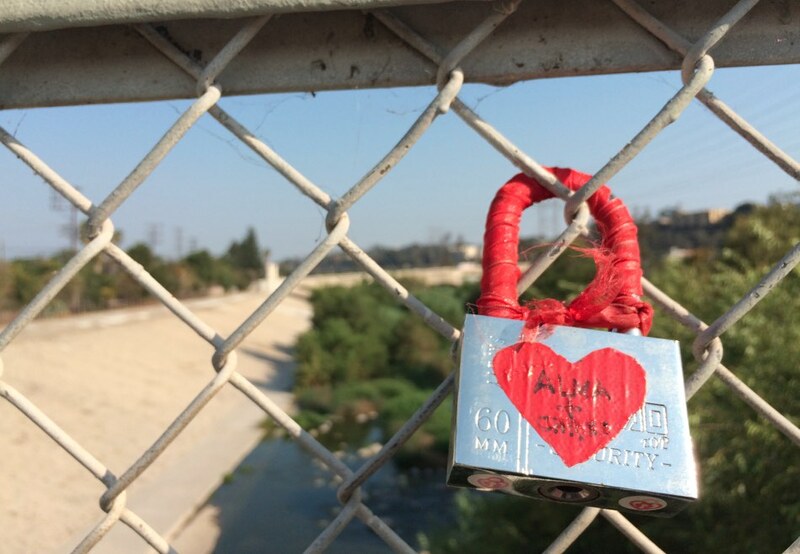 The Love Lock Bridge up close. 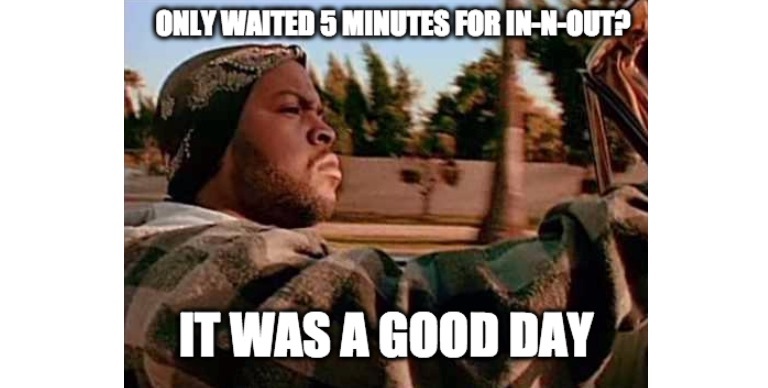 Credit: Brian Champlin / We Like L.A.
Franky, I have yet to see an In-and-Out drive thru line that did not wrap around the block, but even in the midst of that madness I have witnessed the well-oiled machine of drive-thru service professionals crank through a dozen vehicle orders in less than five minutes. And yeah, it’s pretty amazing. To all those In-and-Out employees who process orders while hangry customers jam out in their cars at 1:00am… we salute you! To all my fellow angelenos who are out here making it work and doing their grind, proud of you! I don’t know about you, but the times I’ve felt the most at home here is when I see the sky light up with all different hues and get the reminder that no matter how hard things are, L.A. is a pretty dope place. How do you know you’re having a good day in L.A.? Share your stories and experiences with us in the comments below!